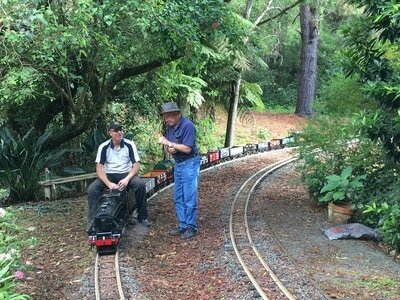 The Gold Coast Model Railway club was formally incorporated in 2003 to nurture the hobby of model railways in the Gold Coast region. The club room (the use of which was donated by Coast 2 Coast Earthmoving) is about 250 sq metres and provides layouts for the most popular scales of model railways. Our club membership caters for all ages and levels of modelling ability, members range from 8 to 80 and the number of members is now well over 100. We also enjoy sharing our hobby with the public who are most welcome to visit when the club rooms are open. The club is open on Saturdays from 10:00 am to 3:00 pm and lunch is available from our canteen on Saturdays and refreshments at other times. The club is usually also open for running on Friday afternoons. Opening times may be varied by contacting the club. The club has a commitment to the development of model railway expertise and conducts workshops and clinics for members on a regular basis. If you want to develop your modeling skills in an-ultra friendly environment, then this is the place for you. Many of our members have highly developed modelling skills and experience. They’re only to pleased to pass on their knowledge whether it is landscaping, baseboards, electrical, repairs & maintenance or scale model building to the rest of the membership and guests. Our club has many model railway collectors so there is a good chance you may see the locomotive model you had as a child running around one of the layouts. The Gold Coast Model Railway Club also boasts a large Library of model railway and locomotive resources. Members may borrow books and DVD’s relevant to their hobby or simply research their subject over a quiet coffee at the club rooms. Members also have the opportunity to sell, buy or swap model railway items at the club and at our yearly “Buy & Sell” activity. 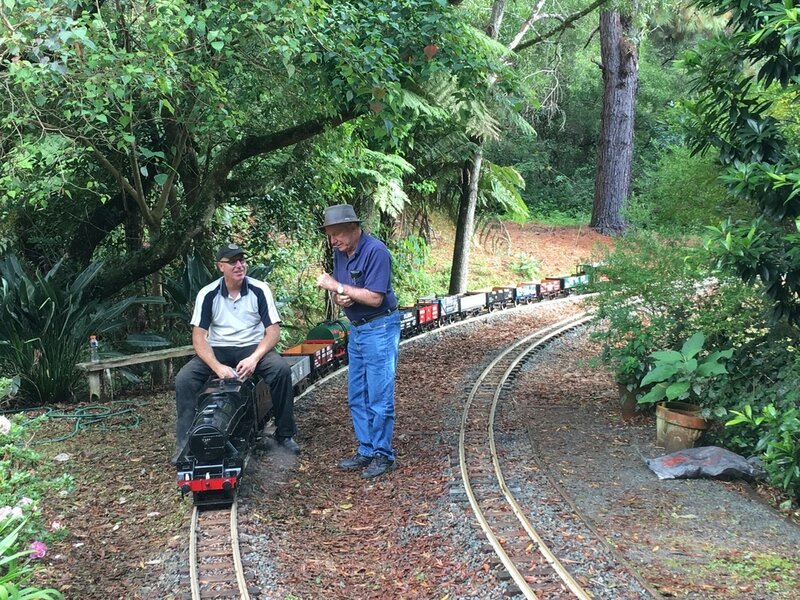 The club members also actively participate in Model Railway Exhibitions in Queensland and Northern NSW. 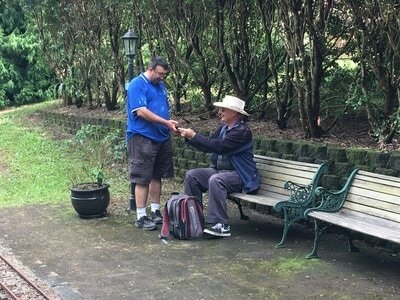 The club has won several awards at Exhibitions over the years and continues to participate in the major Exhibitions within the South East Queensland region. 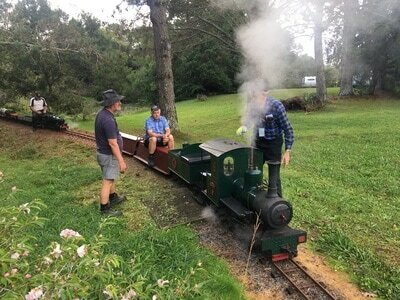 So if you simply want to run your prototypical train, introduce your children to the hobby or aspire to become an accomplished and expert modeller, the Gold Coast Model Railway club has much to offer. Some Gold Coast Model Railway Club were invited to attend a running day on a privately owned 71/4" garden layout at Don's Place in Springbrook. The layout is over 5 hectares in the shape of a dumbbell, with astonishing bridges and stations with engine/ carriage shed, turntable and tunnel. I was amazed that one of the bridges was a multiple brick arch structure built by Don himself. The Garden layout has taken decades to build, including the landscaping and Flora. The club was very fortunate to have some invites. 71/4" gauge club members bought their own rolling stock for the day. There was live steam and diesel locomotives powered by petrol power generators. There was sit-on carriages provided, even a 2 seat dining car on one of the trains. All members had a ride on one train or another.